These beautiful deck mounted gold bathroom taps are designed for wash basins. Italian designed and superb European quality the traditional basin taps are ideal for Victorian bathroom styling. 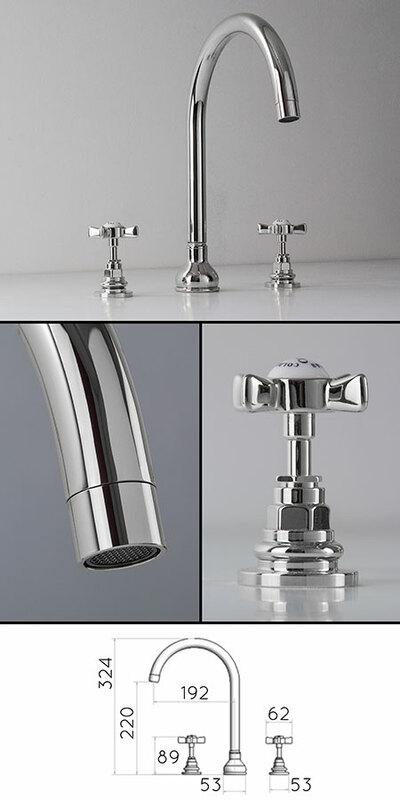 Each 3 piece basin mixer tap is made of solid brass with a thick chrome plating. * 3 piece tap set.